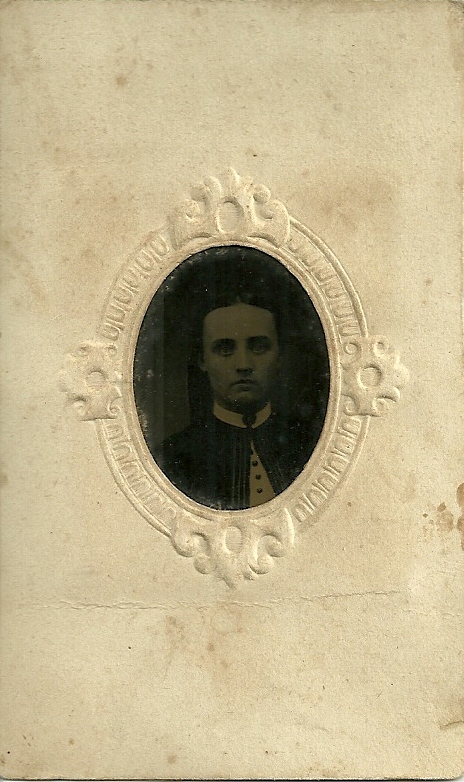 Tintype of a woman identified on reverse as Ellen Clyne. 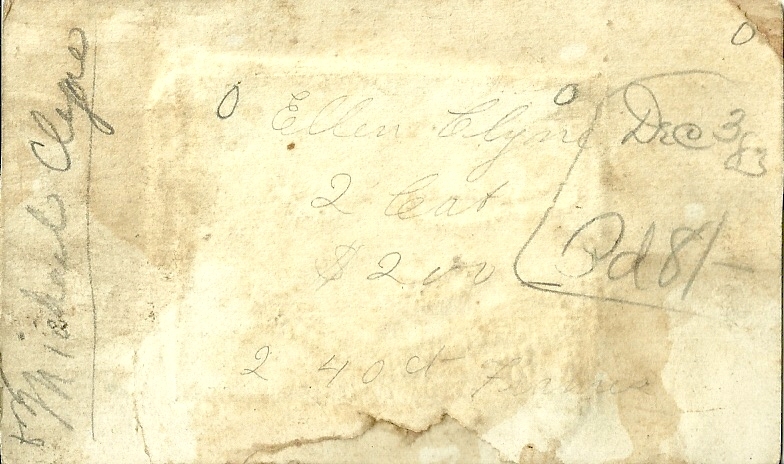 The reverse has other handwriting as well, including the name Michael Clyne. I'm inclined to think that much of rest of the handwriting was added by a modern day seller for an antique shop or online auction place, even though I'd dearly love to think that the date Dec 3 '83 refers to December 3, 1883. I'm more inclined to think it refers to December 3, 1983, though. What do you think? Michael Clyne, born about 1801 in Ireland, who emigrated to Canada and died at Bruce, Ontario on 2 November 1882. He married Ann Gardner, also born in Ireland, and had 10 children, including a Cecilia Ellen, born about 1846. She married Thomas Tremble and had sons John Wesley Tremble and William Tremble. If you have any speculations about the identity of the Ellen Clyne pictured above, please leave a comment or contact me directly.